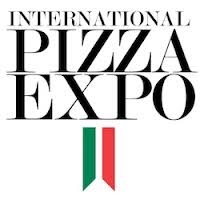 The International Pizza Expo 2019 is set for March 5-7 at the Las Vegas Convention Center. The International Pizza Expo, the world’s largest pizza show, is in its 35th consecutive year of operation. As always, the Pizza Expo will include seminars, workshops, demonstrations and pizza skills competitions. The Bay State Milling team will be exhibiting at Booth #1489 where we’ll be discussing our entire line of flours and mixes. The trade show portion of the event is March 5 to 7. Tuesday, March 5: Exhibit Hall open 10 a.m. to 4 p.m.
Wednesday, March 6: Exhibit Hall open 10 a.m. to 4 p.m.
Thursday, March 7: Exhibit Hall open 10 a.m. to 3 p.m.